TVs don’t usually make for great PC gaming displays, especially when you throw 4K and HDR into the mix. 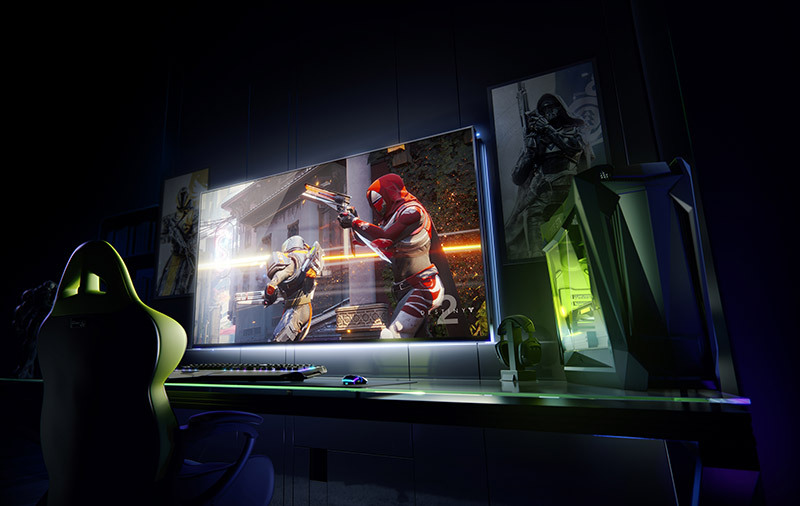 NVIDIA knows that, and is now seeking to address it with what it calls BFGDs (i.e., Big Format Gaming Displays). 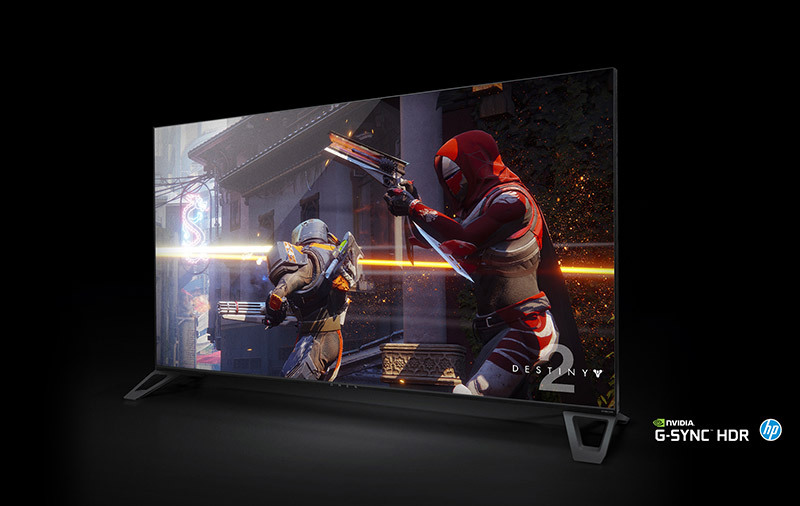 Created in conjunction with NVIDIA hardware partners Acer, ASUS, and HP, BFGDs are basically high-end 65-inch, 4K HDR displays with support for 120Hz refresh rate, NVIDIA G-Sync, and NVIDIA Shield. To render HDR convincingly, BFGDs will also feature a full-array direct backlight, 1,000-nit peak luminance, and support for DCI-P3 color gamut. 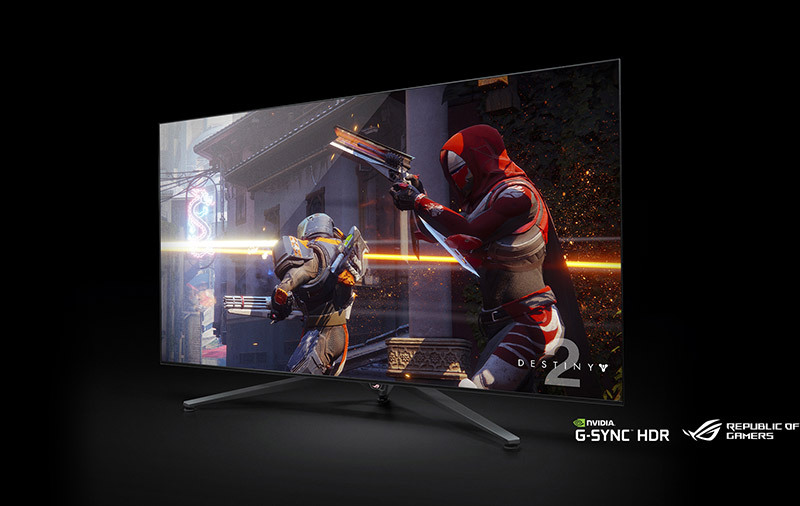 With G-Sync, you’ll get low latency gaming whether you’re gaming on the PC, Android, console, or any desktop and laptop that uses NVIDIA’s GameStream technology. Big-screen streaming is also a key feature of BFGDs. And this is possible due to the integration of the Android TV-based Shield (which is powered by the same Tegra X1 chip used in the latest standalone Shield TV unit). So when you aren't gaming, you can watch movies and shows on Netflix, Amazon Video, YouTube, and Hulu. 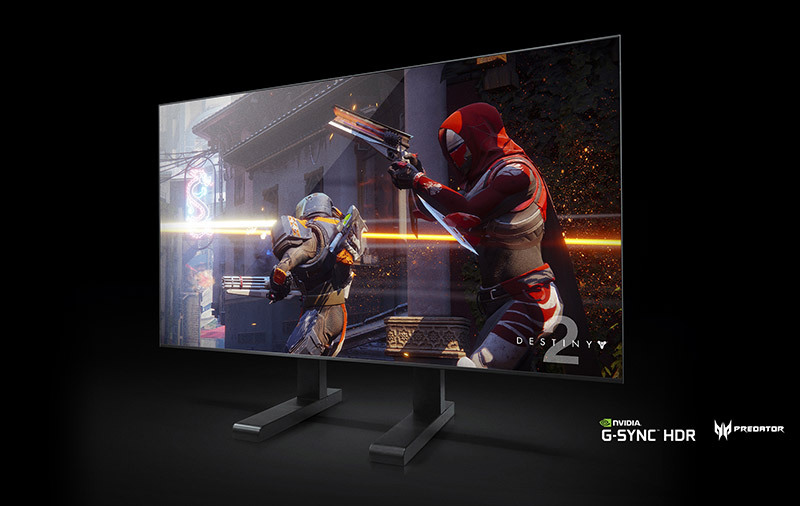 The displays’ G-Sync HDR technology supports video playback at native frame rates, including 23.976, 24, and 25 FPS formats. You can even control the screen with your voice through Google Assistant. Finally, thanks to the built-in Shield that supports the SmartThings ecosystem of products, you can use the BFGD to control your smart home devices that are SmartThings certified. If you’re at CES this week, you can check out the BFGD demos at the NVIDIA gaming suite and ASUS ROG showcase room at the Wynn Las Vegas (note: by appointment only), and at the HP booth at the Pepcom and Showstoppers press events on Monday and Tuesday evening respectively. The displays are expected to hit market this summer (sometime second-half of 2018, subject to vendors' marketing plans), with further pricing and spec details to be announced at a later date. So far, the reception to these new displays has been positive by press and analysts, but the biggest question is why is the BFGD debuting at a single massive 65-inch size since most homes still struggle to deal with this screen size (both in size and cost). 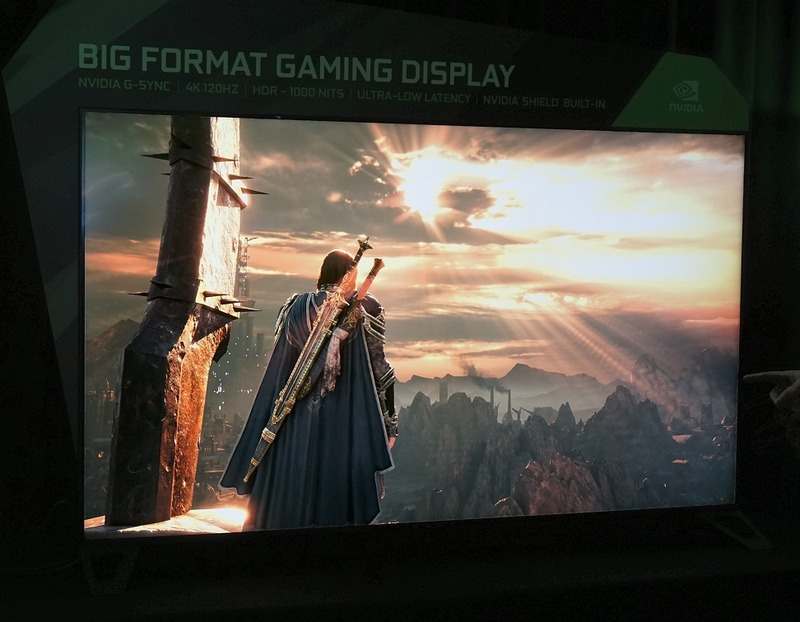 NVIDIA's stand is that one could already get monitors sized between 27 to 35 inches; so to make a really big impact, they decided to go big. We agree, because if the BFGD debuted at 40 inches or thereabout, it wouldn't really garner the same kind of response and impact the 65-inch screens have made at the show, as that's not really any much larger than the biggest high performance monitor you can lay your hands on today. 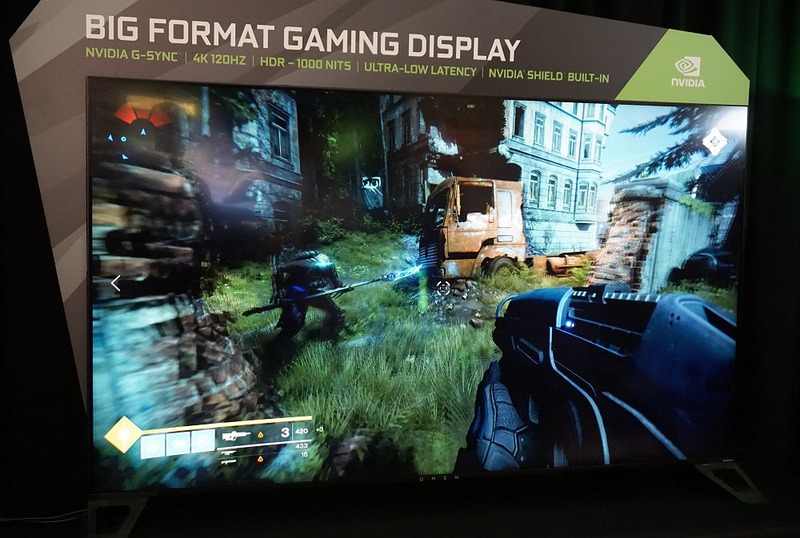 In any case, NVIDIA is mindful of the feedback and would consider 55-inch sized models with its partners in the future after rolling out the 65-inch BFGDs later this year.